MADISON, Wis. — Health officials are confirming Wisconsin's first documented death from Rocky Mountain spotted fever. The state Department of Health Services announced Tuesday the tick-borne disease has killed a woman from La Crosse County. 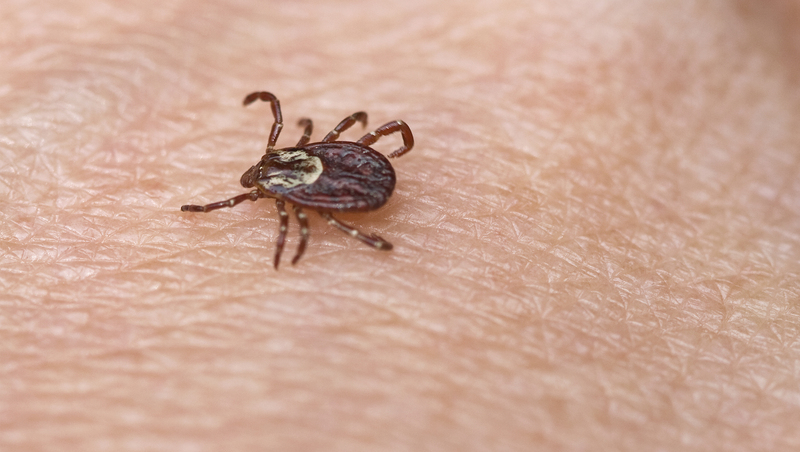 Jo Foellimi, a La Crosse County public health nurse, says the woman got a tick bite while camping in western Wisconsin in early May. The woman was diagnosed with Rocky Mountain spotted fever, also known as RMSF, in mid-June and died days later. Foellimi says the woman was in her late 50s but declined to identify her. Rocky Mountain spotted fever is spread by several species of ticks in the U.S., including the American dog tick. The disease is typically found in the central and southeastern United States, and is rarely reported in Wisconsin. Early signs and symptoms of the infection are similar to other illnesses and include fever, headache, rash, nausea, vomiting, stomach pain, muscle pain, and lack of appetite. If left untreated, Rocky Mountain spotted fever can quickly progress to a life-threatening illness, so it's important to see your doctor if you become ill after having been bitten by a tick or having been in the woods or in areas with high brush where ticks commonly live. Certain blood tests can help your health care provider determine if you have Rocky Mountain spotted fever. The disease can be treated with a round of antibiotics. Fellimi says the dog tick is less active in summer but people should still use insect repellant, avoid tall grass and check themselves for ticks after spending time outdoors. Other species of ticks can spread illnesses including Lyme disease, Powassan virus, and even an allergy to red meat. Avoid wooded and brushy areas with high grass and leaf litter and walk in the center of trails. Use repellents that contain 20 to 30 percent DEET on exposed skin and clothing for protection that lasts up to several hours. Use products that contain permethrin to treat clothing and gear, such as boots, pants, socks and tents. Bathe or shower as soon as possible after coming indoors (preferably within two hours) to wash off and more easily find any ticks. Examine clothing, gear, and pets for ticks.